Bronze and granite come alive for Murray Dewart. 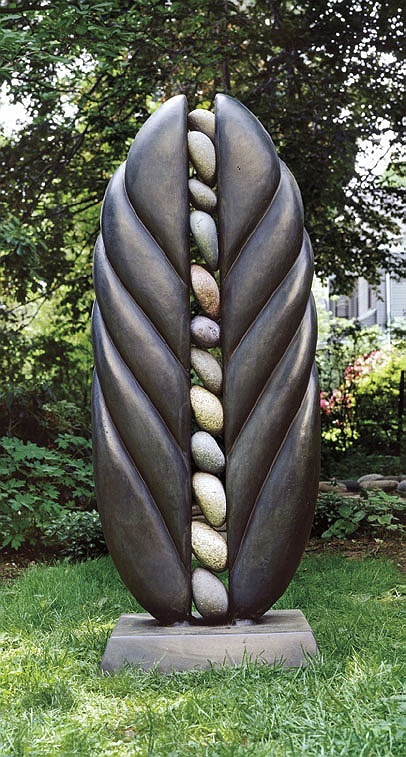 Dewart (rhymes with Stuart; www.dewartsculpture.com) makes sculptures that often occupy gardens, where their simplicity both contrasts and harmonizes with the live landscape. Many viewers find an Asian sensibility in his works. “There’s a spiritual component in me, as there is in old stone and forms coming out of China and Japan,” he explains. 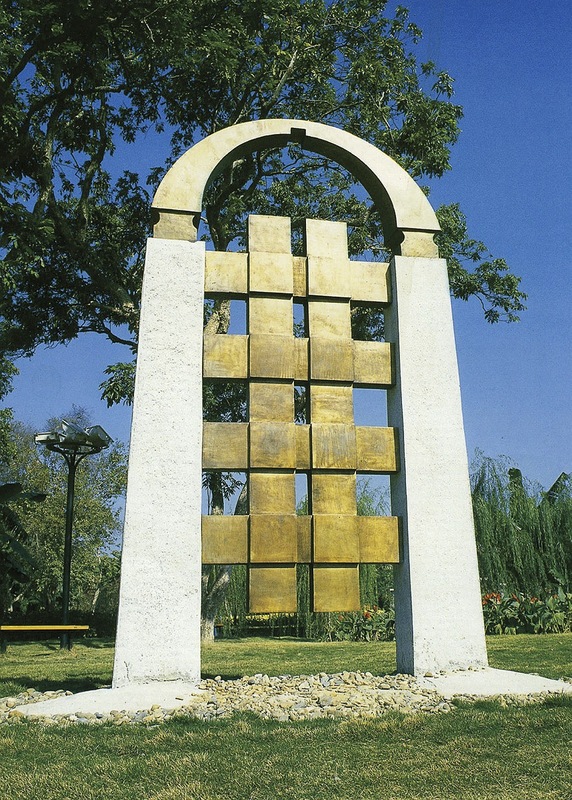 “Their central element has a balanced, harmonic kind of equilibrium, an emblem of what I am yearning for, not necessarily of what I’ve found.” Some Chinese buyers apparently do appreciate his efforts; Beijing also has two of his works in its international sculpture park. In 1978, just before their second son was born, the Dewarts abandoned their rural isolation for Boston, where he vowed “never to be cut off again.” He started organizing sculptors’ dinners to offset “the loneliness of being an artist. 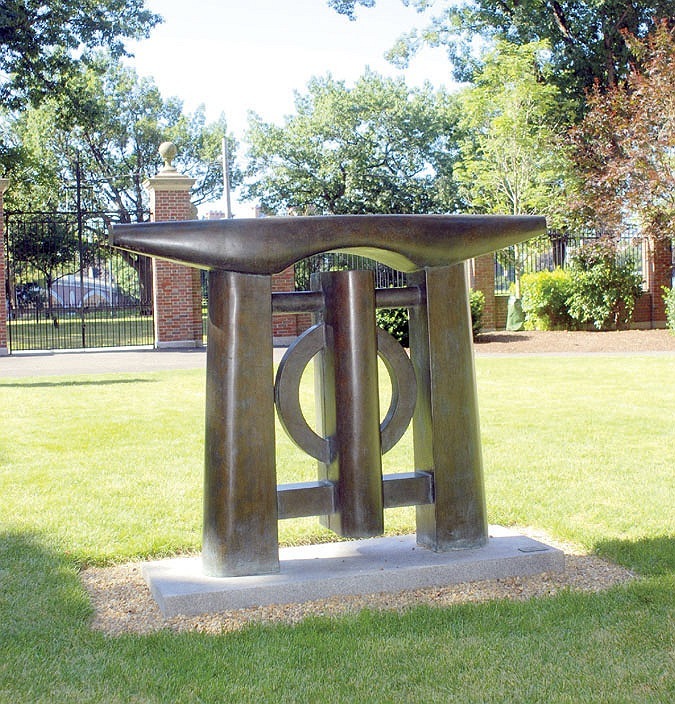 Art grows from nature, and it also grows from other artists, both long-dead and living ones.” The dinners grew into the Boston Sculptors Gallery, now 20 years old, with 36 members, half male, half female. They’ve staged shows all over the world, from Peru to Paris, including a major assemblage of works installed at the Christian Science Plaza in Boston this year. “It’s the community I wanted,” Dewart says. But the sculptor’s process requires solitude, too. Each day begins with a blank sheet of paper at dawn; Dewart writes or draws whatever comes to him. He’s now on his sixty-fifth volume of this daily journal. “I am trying to please something in the eye and the heart,” he says. “You have to come into the studio and have something powerful happen to you.” When he enters his studio, “there’s a certain amount of chaos,” he says, and you never know when something will trigger an idea. It might, for example, be a fragrant baguette.